Amazing shredded chicken that swims in the BBQ sauce. A touch of bite from the red onion plus added protein from the black beans makes for a great filling for any corn tortillas, flour tortillas or taco shells! Add some fresh chopped cilantro, more red onion, and/or shredded cheese as garnish. Open, drain and rinse the can(s) of black beans. Spray bottom of slow cooker with cooking spray. Add the chicken breasts, black beans, red onions and pour the BBQ sauce over the top. Add about 1/4 to 1/2 cup of water to thin out the sauce. Set the slow cooker on low and cook for 8 hours. Once cooked, shred the chicken into the BBQ sauce. Spoon shredded chicken and sauce into the corn tortillas and top with garnishes. 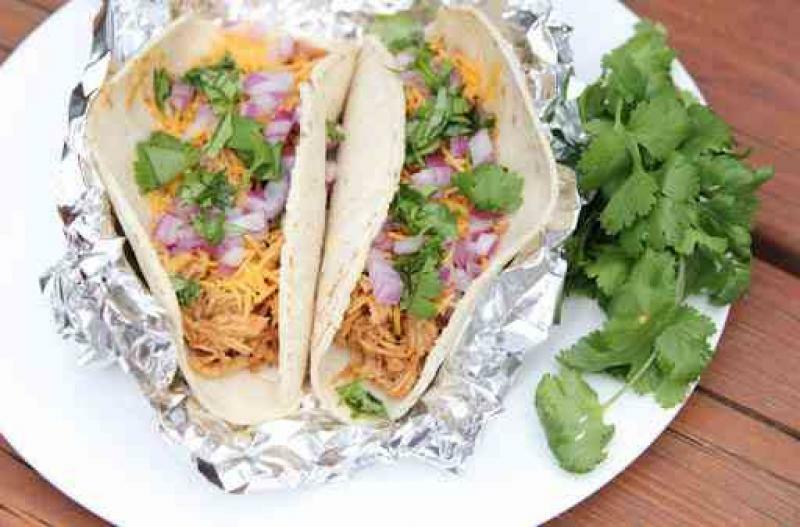 Serve BBQ Chicken Street Tacos with side of fruit. Put baggie in the freezer and freeze up to 6 months in fridge freezer or 12 months in a deep freezer. Thaw in the fridge overnight, or a warm bowl of water for about 20 minutes, before adding contents of the baggie to the slow cooker with amount of water listed in the recipe. Set on low and cook for 8 hours. Shred the chicken and make tacos. Recipe is dairy-free when shredded cheese garnish is omitted. Thaw and add contents of the baggie to the slow cooker. Set on low and cook for 8 hours. 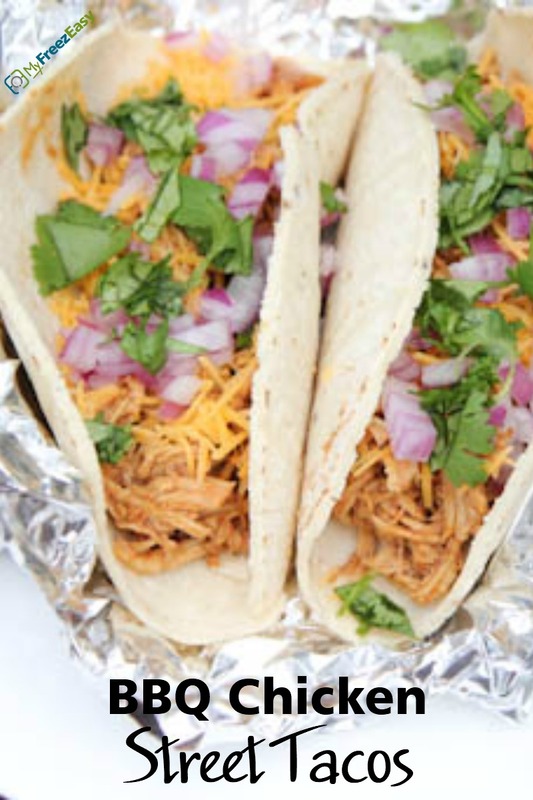 Shred the chicken into the sauce and then assemble tacos with garnishes.